The hydrocyclone classifier forms an integral part of the milling circuit. 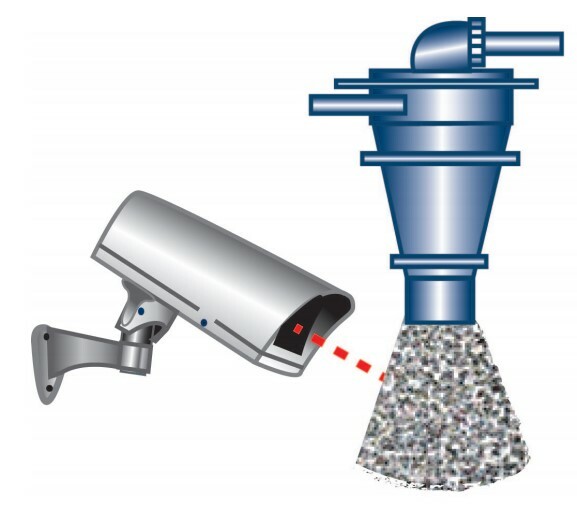 The overall performance of the milling circuit depends directly on the performance of the hydrocyclone classifier. 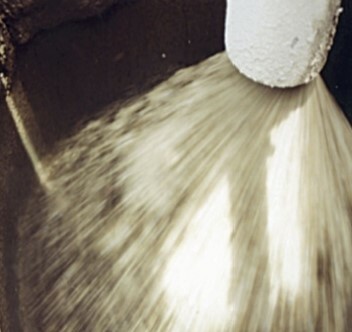 Plant operators have traditionally used the shape of the hydrocyclone underflow to assess the overall efficiency of the milling circuit – the CyLas provides this information on-line. CyLas is an on-line instrument for measuring the hydrocyclone underfow discharge angle. It uses a laser device to measure the distance from a fixed point (where it is mounted) to a point on the hydrocyclone underflow discharge. The distance is then related to the underflow discharge angle with the aid of trigonometric manipulations. Because of its non-contact nature and rugged construction, the CyLas is an inherently low-maintenance instrument. Below is a typical flotation circuit, showcasing how the CyLasis used in conjunction with the Blue Cube MQi Slurry Analyser to measure the hydrocyclone underflow discharge angle. The CyLas device is mounted in such a way that the laser is not more than 30 m away from the target measuring surface. The CyLas requires a direct line of sight to the underflow flare. The most convenient position for it is on the outside of the underflow box. This would allow easy of access to it for calibration and adjusting the position. Click here to view the CyLas brochure.